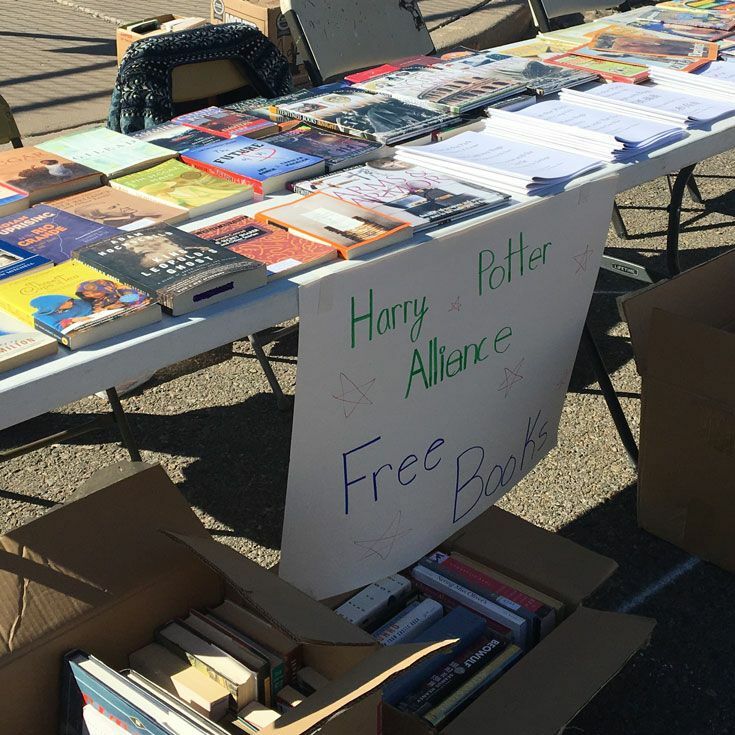 Bosque School’s Harry Potter Alliance (HPA) chapter continues its book drive through the end of this week! HPA is looking for new and lightly-used books for children and young adults for redistribution to low-income families in Albuquerque and beyond. The goal is to promote literacy and a love of learning and reading by giving away free books at public events. HPA has already participated in various events in the International District with free books and children’s activities (adults love them, too). Current adult best-sellers and novels are also welcome, but the focus is on children’s books. HPA is also excited to announce a new partnership with New Mexico Storehouse, the Eastside's largest food pantry with the most culturally and linguistically diverse clients in Albuquerque, which will bring HPA books and activities to their site one Saturday a month. In order to have enough inventory for upcoming fun events like this, we ask our community to consider donating books to us! Donation boxes are located at middle and upper school drop off/pick-up lanes, as well as in the Peggy Ann Findlay Art Lobby and near Mr. Cummins’ room. Please contact Service Learning Director Anna Rutins (anna.rutins@bosqueschool.org) to arrange book donation drop-offs after April 12. Support throughout the summer is also welcomed! On Thursday, April 11, HPA will celebrate the book drive’s end with a special movie screening for Bosque students from 3:45–5:30 pm featuring the film The Princess Bride. Please bring a new or slightly-used book as an entrance fee; snacks will be available for purchase.